Though we often take it for granted or trivialize its utility, the internet is one of the most important inventions of the modern world. It has increased the scope of our communications, making the world a little bit smaller and spawning new ways of connecting over long distances. With millions and millions of computers across the planet able to reach and interact with each other, understanding the relationships between any two machines in a network can get complex real fast. That’s where a good network diagram comes in. 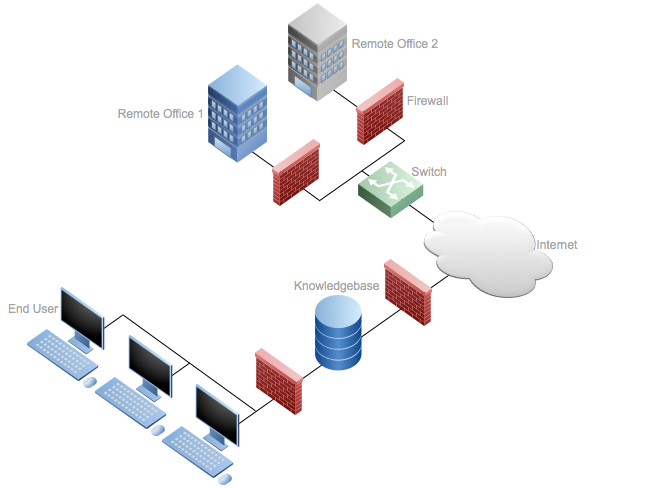 The above diagram is an example of the flow of information from a remote office to an end user. We see the connections between each part of the network and each part’s relationship to the others. With everything sketched out, explaining networks to a layman becomes more a matter of tracing a line and not an act of unfathomable wizardry. Each component of the diagram can be manipulated to suit your needs. If you have a more complex network situation you can add or remove pieces, draw new lines, and make your own original PowerPoint diagrams. With several graphic packs, you can mix and match to create your own network diagram. Whether you need to depict phones and routers, laptops, or the end users themselves, we’ve got plenty of images of the various devices and people involved in a network. 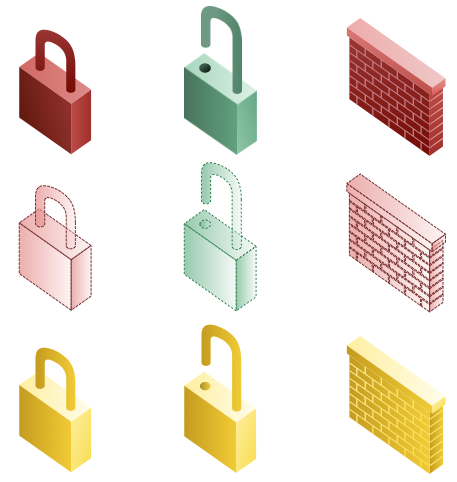 There are many different metaphors used when it comes to the world of network security. There is often comparisons to locks and keys, firewalls, and physical security measures to explain the different methods we use to deter viruses, data breaches, and other threats to the network. The above graphics make great visual aids in these metaphors, so try dropping a few into your network security diagram. Corporate networks often have multi-tiered security to keep confidential information confidential, doled out on a need-to-know basis. In most companies, not everyone is going to be privileged with the same info, and these stair step PowerPoint diagrams are a simple yet elegant way of explaining who knows what. 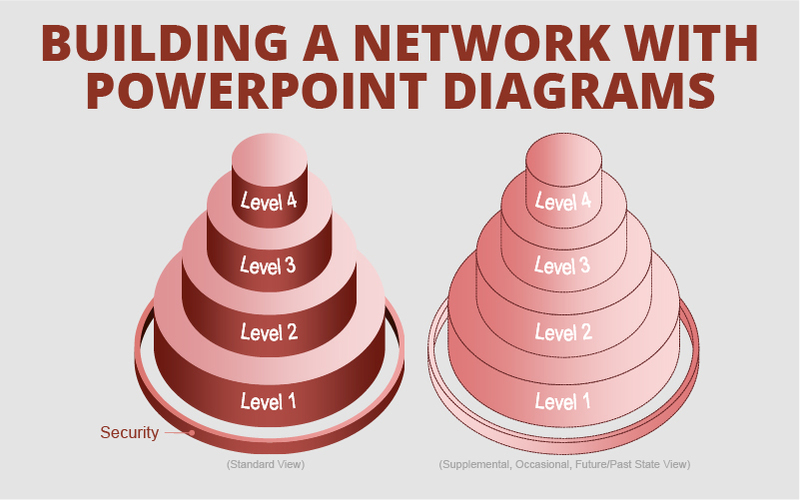 You can find these network graphics (and much more) in our extensive PowerPoint graphic library. Enjoy!